The top-level domain (TLD) refers to the last section of a domain name or the part that follows immediately after the “dot” symbol. For example in mickwood.com, “mickwood” is our domain name and “.com” is the TLD extension. Most geographical territories have a specific two-letter code, like .uk, which is called a country code Top Level Domain (ccTLD). 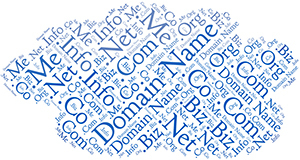 There are several TLDs which are not specific to a geographical location - these are known as generic Top Level Domains such as .com or .org. Organisations usually select a TLD which corresponds to the country in which they are operating, and some organisations choose to register Domain Names in several different TLDs. In general, organisations based in, or wishing to market themselves, in the UK use a Domain Name ending .uk.